releasing members of the Board of Administration from their management duties. The General Assembly confers on all issues specified in the agenda. The Board of Administration defines the means to be implemented for achieving the association’s objectives. It is invested with wide-ranging powers to authorise all acts and operations permissible to the association that are not reserved for the general assembly. The Management Committee provides the Board of Directors with the resources needed to achieve the objectives of the association and monitors the proper implementation of the strategy defined by the Board of Administration. presenting to the Management Committee the state of progress of work undertaken by the association and evaluating the results obtained. 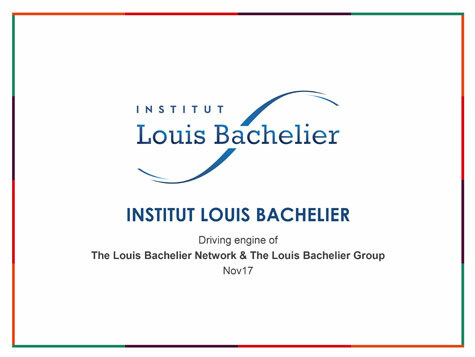 Created in 2012 within the framework of obtaining the Louis Bachelier Finance and Sustainable Growth LABEX, the International Scientific Council ensures the consistency of the LABEX (Laboratoire d’Excellence) scientific strategy. It is more specifically responsible for evaluating the scientific quality of research programmes attached to the Foundations (EIF and RF) and their conformity with strategic axes.